Here are a few shots of our trip up to Michigan. We took two days to do the one day trip, but used up all of our extra time the first day, so had to bypass Indianapolis and the rest of Indiana to get here in time to see Dave and Amy before they left for a weekend getaway, planned before our trip. We left early Thursday morning, and accidentally headed north up US-23 instead of west on US-11W. 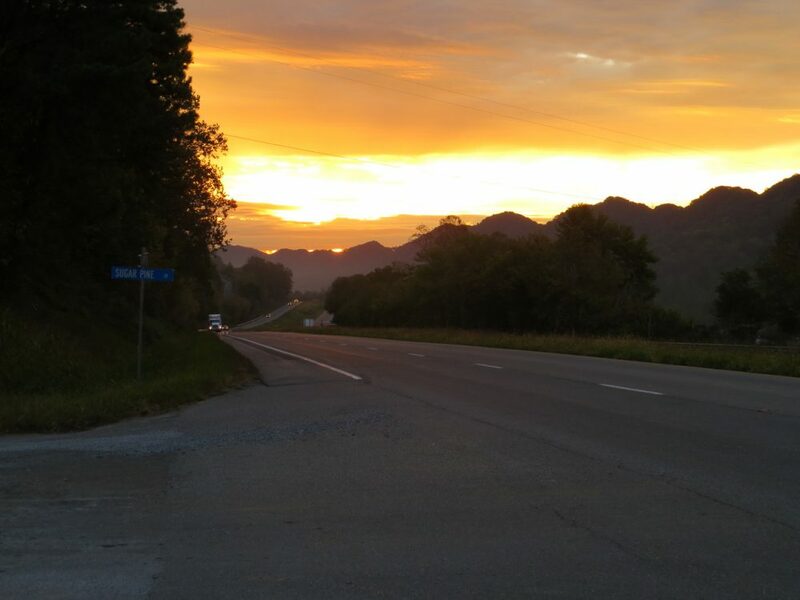 We hadn’t taken that route recently, and it was no longer, so we just enjoyed the scenery. We had asked the Lord to direct our steps, and He did, even though we made a mistake! 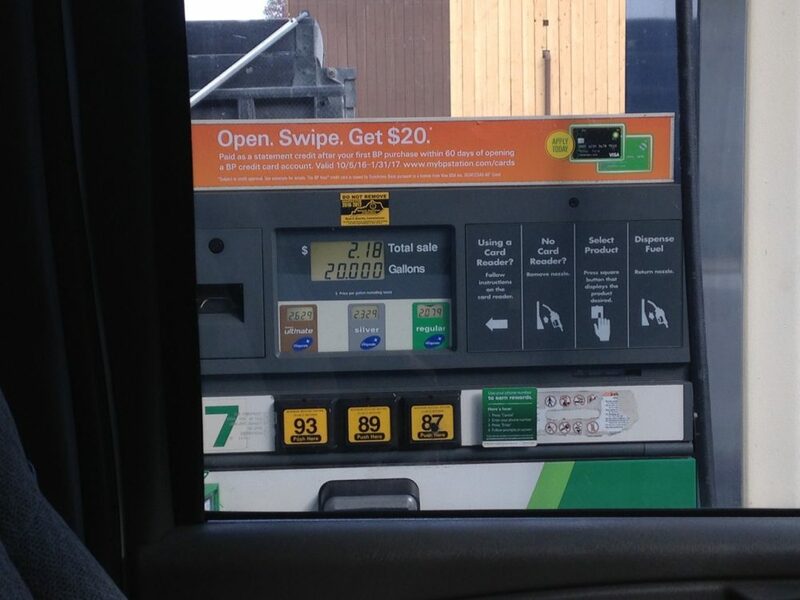 Thankful for our BP credit card rewards, as we filled the tank in Kentucky! 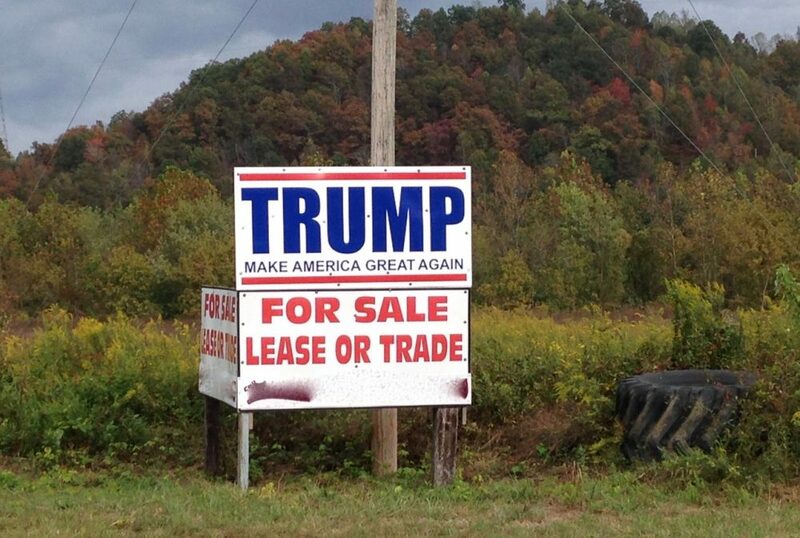 Saw this sign in Kentucky. . . . uhhh, I think I’ll take Trade. One observation. I know we’re not in Hillary country, but we saw around 100 Trump signs and only one Hillary sign the first day. Heading across Hwy. 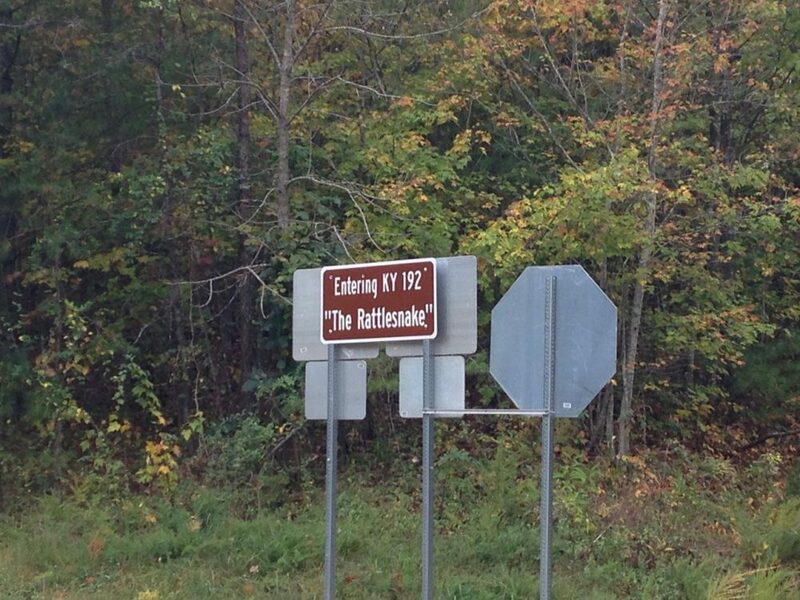 192, we saw this sign, and expected the worst, but it really wasn’t a bad road at all. On the contrary—at one point we were following a mountain range on our left, and a patchwork of small farms dotting the valley below on our right. We could have stopped for photos every mile or less, but resisted the urge. 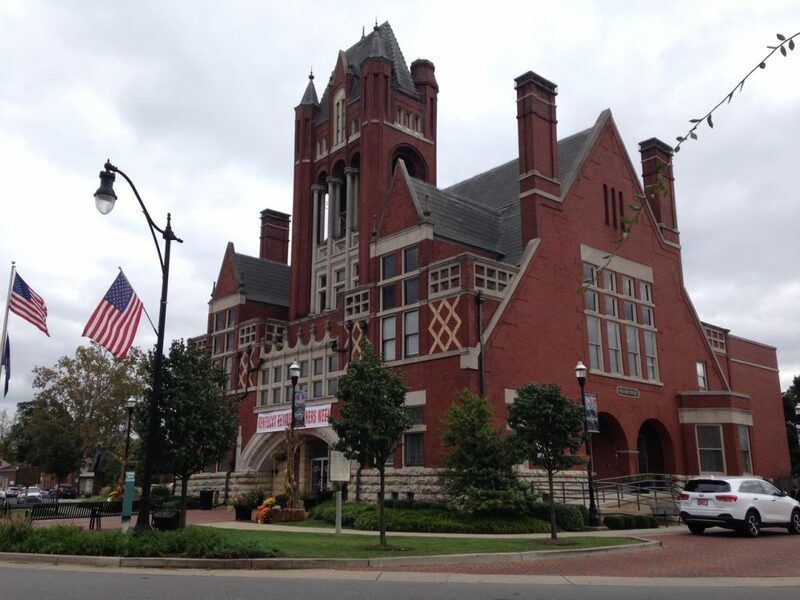 We did try to stop every hour or so to walk, and made a longer stop at Bardstown, Kentucky, which we had not visited before. It’s one of the oldest towns in the state, having been settled in 1775. 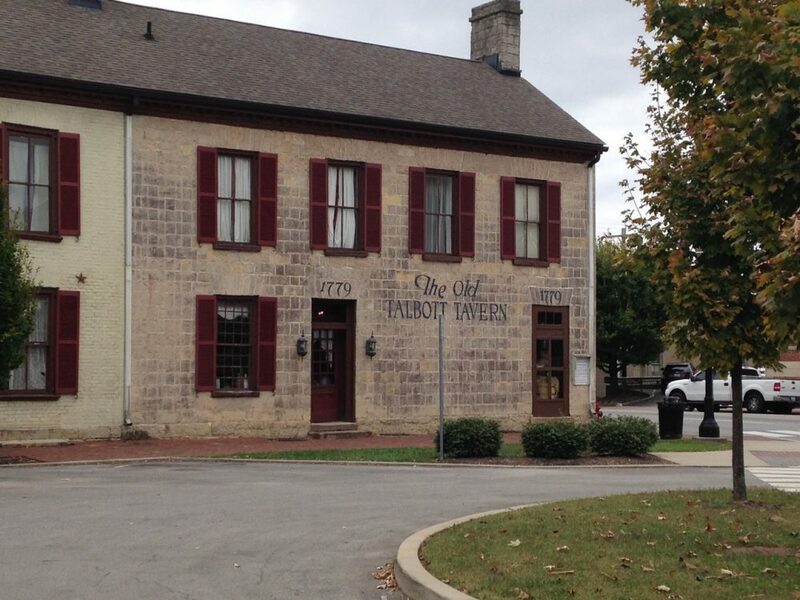 One of the oldest buildings in town, the Old Talbott Tavern, was built in 1779. Daniel Boone and Abraham Lincoln were two of many famous people who have spent the night. 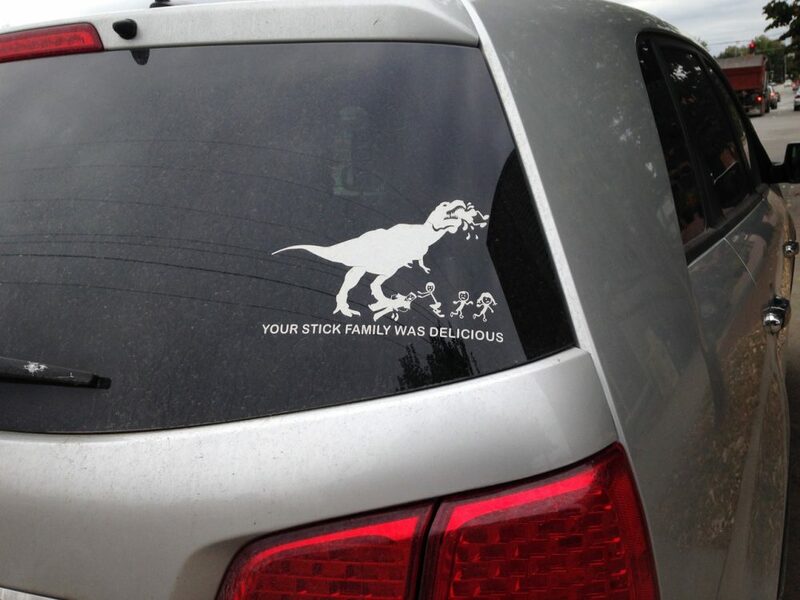 While in Bardstown, we also spotted this window sticker, which gave us a chuckle. 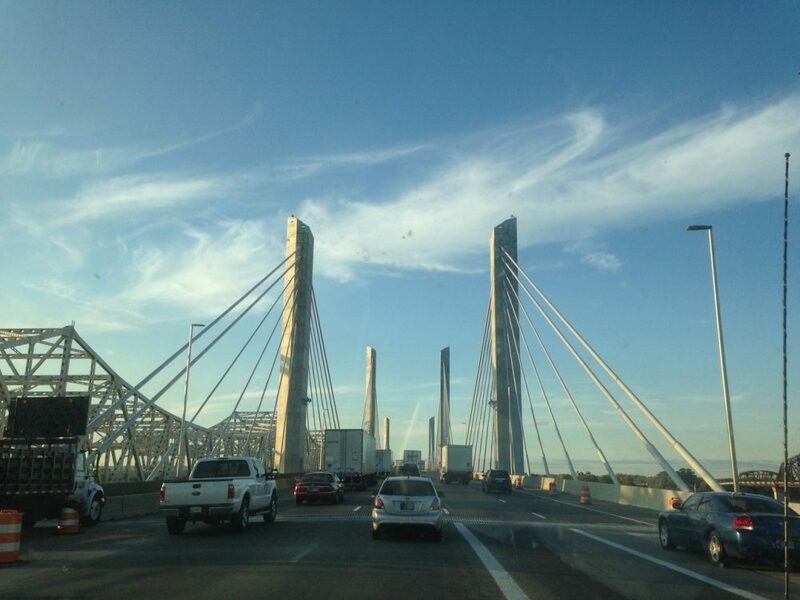 In late afternoon, we arrived at the crossing into Louisville, KY.
Toward dusk, this bridge welcomed us to Columbus, Indiana, one of our favorite small towns, and home to several buildings designed by famous architects. 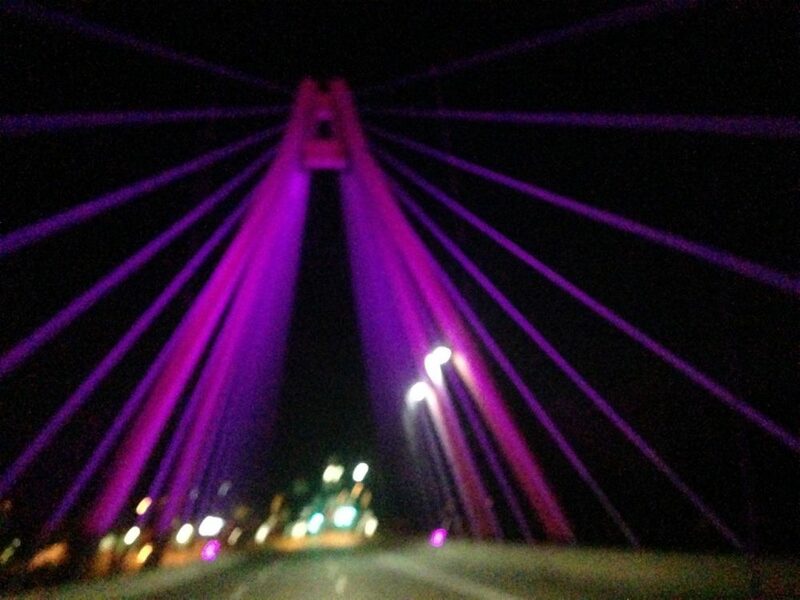 The bridge appears a little blurry, and maybe that's because we were a little blurry by that time, but we enjoyed driving over it into town. We also enjoyed seeing how different some of our favorite buildings look at night. 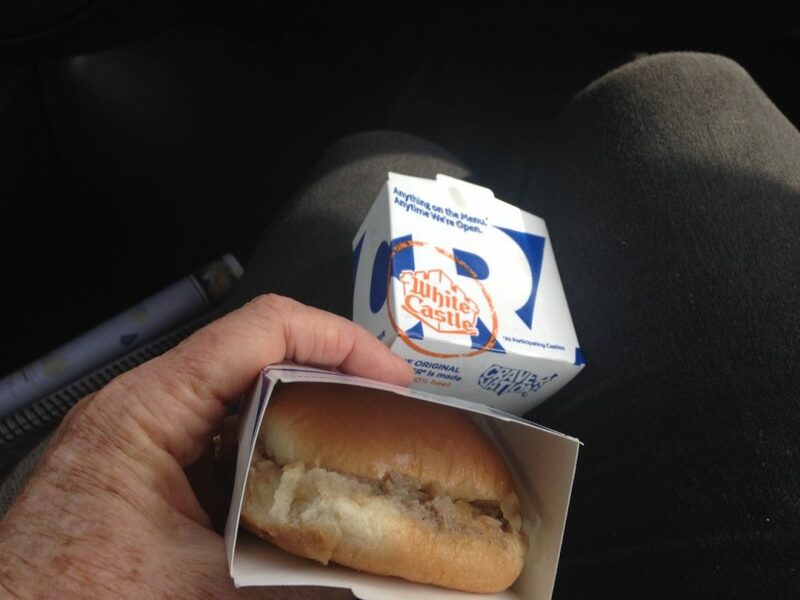 We spent the night at Walmart in Columbus, then headed on up to Michigan, with a stop for lunch at a place that reminds us of our childhood, when one of our few experiences with food not prepared at home was stopping after the evening service at church to pick up White Castles, 10 for $1. We arrived in Michigan right on schedule, and enjoyed granddaughter Emma’s 13th birthday party the next day! 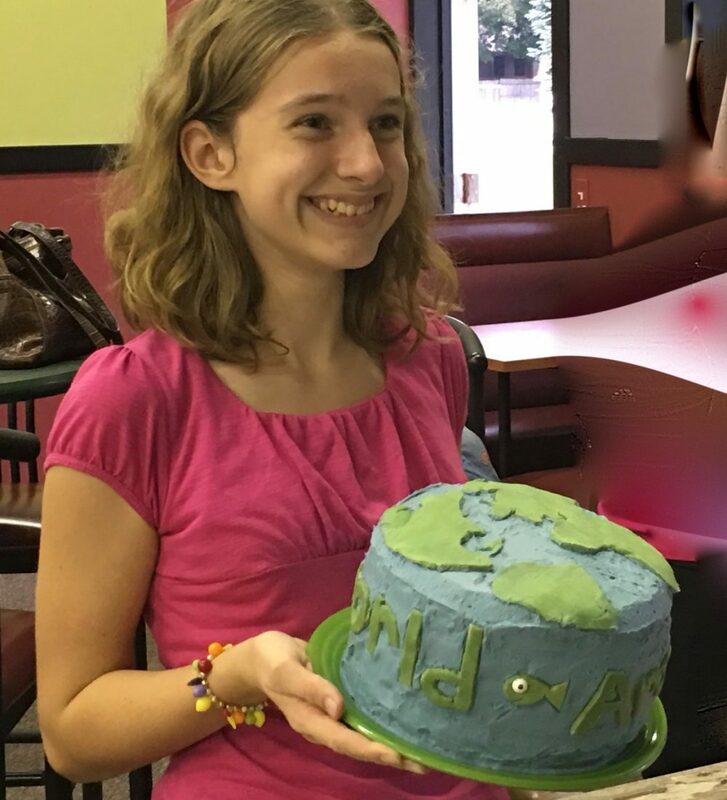 The theme of the party was “Around the World” and she decorated the cake herself. So, that's our adventure thus far. We're anticipating heading over to the east side of Michigan and then traveling north up to Dad Gardner's neck of the woods before returning to Dave and Amy's. How long we stay away depends on the weather. We are just grateful to be here in our home state and with seven of our twelve grandchildren!